A "psychic" cat in China that correctly predicted the outcome of six World Cup games has met an untimely end, prompting thousands to pour out their grief on Chinese social media. Baidian'er, the famous stray cat from the Palace Museum is pictured in Beijing on October 19, 2017. 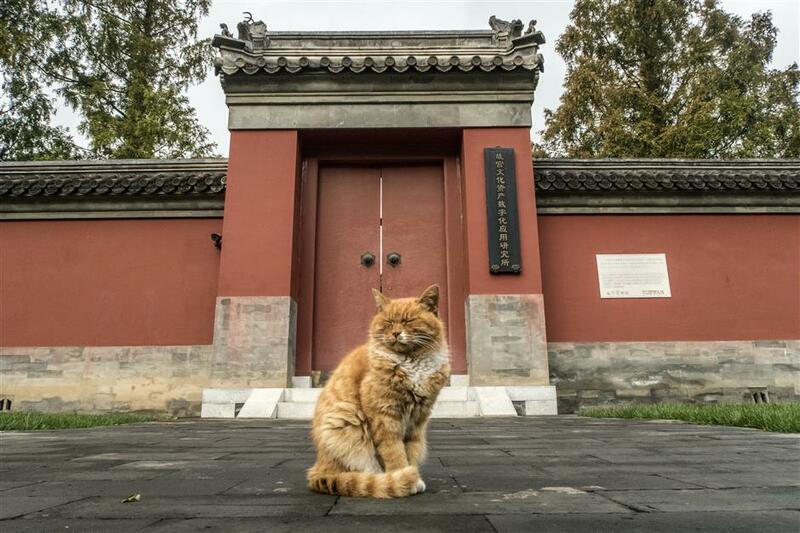 The orange-furred tabby, named "Baidian'er," which means "white spot" in Chinese, was a stray that prowled around the Palace Museum in Beijing's Forbidden City. He was offered two bowls of food, with the flags of competing World Cup teams stuck in the ground behind them. Baidian'er correctly predicted the results of six World Cup games. He achieved such fame that the Palace Museum even set up an account for him on China's Weibo, a popular Twitter-like platform. Unfortunately, Baidian'er's correct prediction of an Argentinian win against Nigeria turned out to be his last. "Every time I go to the Forbidden City, I have to go see Baidian'er, take a photo, play for a while, see him sleep on the grass in the sun," wrote one distraught user. "Go on living a happy life in Cat Heaven, I'll see you again." It has not been a good week for animal prognosticators. In Japan, an octopus caught in the northern region of Hokkaido correctly predicted the outcome of three of Japan's World Cup matches, but like the Blue Samurai met an unfortunate fate. Even before Japan qualified for the final 16, the octopus named Rabio was reportedly sold and turned into sashimi. Rabio was following on from the most successful salty soothsayer, an Octopus named Paul who achieved global fame by correctly predicting eight 2010 World Cup games from his aquarium in Germany. Paul became a worldwide media sensation, with his latter predictions covered by hordes of international media. But Paul fell offside with his home fans after correctly predicting that Germany would lose to Spain. His aquarium received menacing letters threatening to turn him into a tasty dish. In the stands, the honour of Paul's mother was called into question and some sections of the crowd watching on giant screens in Berlin sang anti-octopus songs.